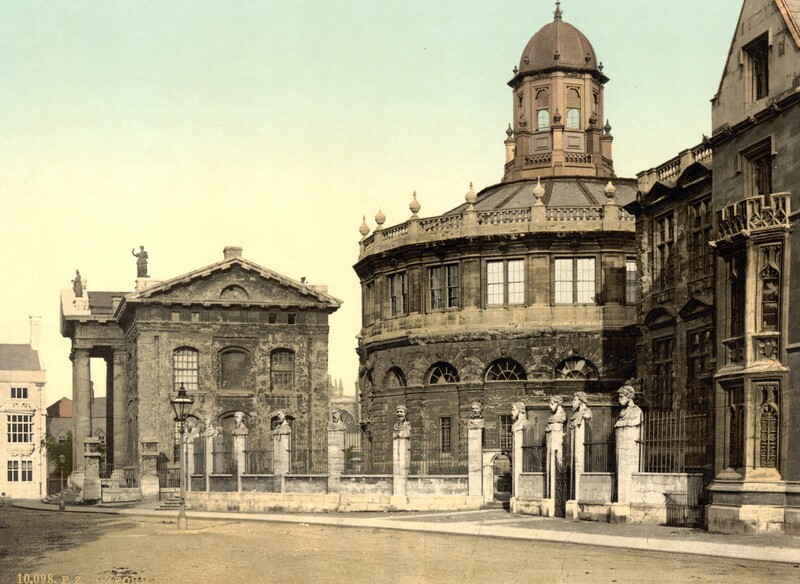 Oxford marine archaeologist Mensun Bound has purchased a bust that once stared, mouth agape, at people outside the Sheldonian Theatre, Oxford University’s ceremonial hall designed by Christopher Wren in the late 1660s. It was only his second public building (the first was the chapel of Pembroke College in Cambridge), designed when he was Savilian Professor of Astronomy at Oxford. (Yes, in addition to being a pioneer and luminary of English architecture, Wren was also a math and science genius.) The D-shape of the building was inspired by Rome’s Theater of Marcellus. Once the building was close to done, Wren commissioned local stonemason William Byrd to carve busts of 13 figures to glare at passersby from the Broad Street boundary wall. Known alternately as “emperors,” “caesar’s heads,” and “philosophers,” the sculptures’ real identities are something of a mystery. They took a lot of punishment over the centuries. Byrd’s originals were replaced with copies in 1868 after 200 years. The Victorian copies were then treated to the drunken exuberance of the students who splashed paint on them. The cleaning did more damage than the paint, leaving the replacements already in need of restoration by the end of the century. They were finally replaced again with copies carved by Michael Black in 1970 – 1972. Those are the ones you see outside the Sheldonian now. The auctioneers estimate that it was made in the 1860s, so that would make it one of the Victorian copies. An unnamed source has told Bound that it might actually be one of the 17th century originals and it certainly looks beat up from the picture. Bound spent £3,000 to secure the piece. [Bound] said: “They are known as the emperors, but I have seen them referred to as philosophers and even the apostles. I thought it would be good for the bust to remain near Oxford. 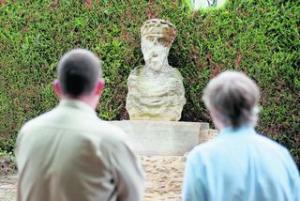 The unveiling will be carried out by the poet and dramatist Francis Warner, of St Peter’s College. Mr Bound said he was hoping eventually to discover which of the emperors he had acquired. The three-ton hunk of limestone has already been hoisted onto a pedestal, thanks to a local farmer’s forklift, in its new location, a courtyard on Bound’s estate, historic Horspath Manor. This entry was posted on Thursday, September 8th, 2011 at 11:58 AM	and is filed under Renaissance, Treasures. You can follow any responses to this entry through the RSS 2.0 feed. You can skip to the end and leave a response. Pinging is currently not allowed. Go figure?! I was at Oxford for most of the 1970s and I remember the replacement of the “Emperors” well. (A friend of mine always referred to them as “the gaping whatevers”.) 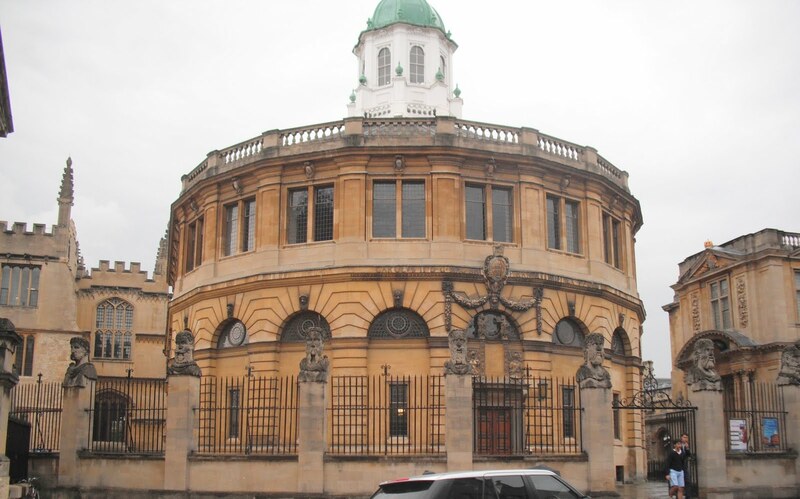 They were under scaffolding when I matriculated (in the Sheldonian) in 1971, but fresh and new when I took my doctorate (also in the Sheldonian)in 1979. There was much polemic at the time and the fundamental question of “Why bother?” . The old heads were silly and historic. The new ones were just silly. The modern heads don’t look as exuberant as the Victorian ones. i would have thought it would attract a greater price than £3000. You wouldn’t be able to get a new one made today for that. I thought it was quite a bargain myself. I suspect it’s the battered condition that kept the price lowish.